From the 1930 "These Build Civilization" unpublished family history pamphlet by Joseph H. Larimore, we find that he obtained the earliest information from Caroline Larimore Williams of Wheeling, WV, a granddaughter of James and Susannah Larimore, via their son Robert Larimore (1792 - 1856). Caroline reported her grandmother's maiden name as "Bonheim", but Alan Bunner's research, including a 1758 christening certificate found at Berkeley County, Virginia, indicates she was actually Susannah Barbel Bonner, daughter of Caspar and Christianna (Brown) Bonner. It says that brothers William, Hugh, and James Larimore immigrated from Northern Ireland in 1760, entering through New Jersey. William migrated to western Pennsylvania near Pittsburgh, Hugh to North Carolina, and James to Hampshire County, then part of Virginia. The somewhat fanciful recitation of his story indicates that he entered the frontier and, upon finding a desirable area on Little Capon creek, laid claim to four hundred acres by marking trees with a tomahawk and his initials. The location that became Three Churches is about thirty miles west of Winchester, Virginia, and about ten miles northeast of Romney, being two miles north of present-day Route 50, on Jersey or Branch Mountain. According to "These Build Civilization", James was originally a weaver (in Ireland, no doubt), and cleared his forested land at Three Churches by hand in the manner of the times. 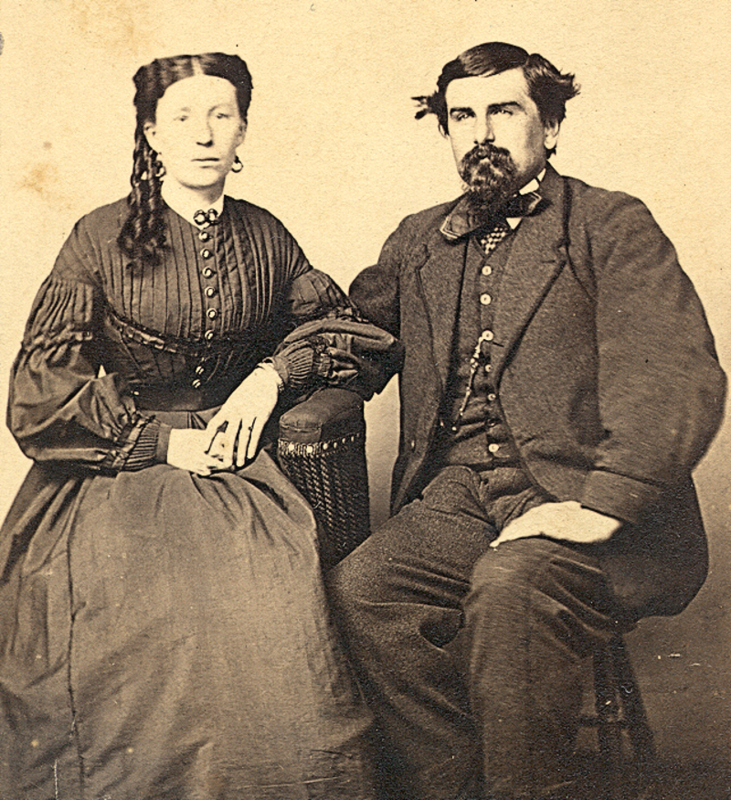 The Presbyterian James Larimore and the Lutheran Susannah Bonner were married, probably at or near the Bonner residence in Berkeley County, although a record has not been found. On the forested plot on Little Capon creek, James and Susan lived in a log cabin and engaged in "patch" farming -- primitive hand-planting around the dead stumps of the felled trees. That's about all we know, except for this bit about his personality and ultimate demise: "Tradition records that Grandfather was a great tease, coming in hopping around Harry Lander fashion, claiming that he had been bitten by a rattlesnake, keeping Grandmother in a constant state of fear. Finally she met these Irish bluffs with contempt. Sad to relate that at sixty years of age this denizen of the forest while climbing over a log was bitten by a rattler and hastened home. His wife regarded his story with credulity, but he swelled up and died." 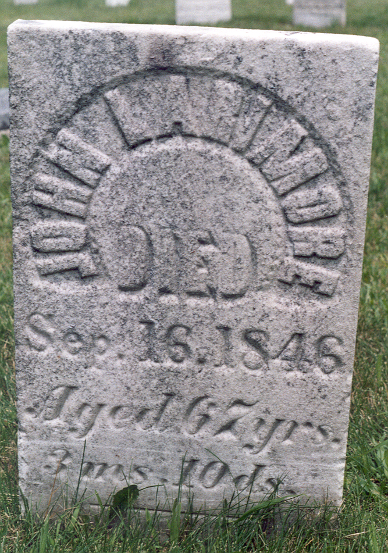 It says he was buried "on top of Jersey Mountain", but I did not find a stone at the cemeteries at Three Churches -- probably it was a burial on a cemetery plot on his farm. One would speculate that Susannah lived on until 1821 or early 1822, as that is when his land was sold by his children to a Philip Kline, as recorded in the land indenture shown on the "Three Churches" page, link below. Note that the Larimore property abutted the Philip DeWald property -- James Larimore's grandson James married Philip's youngest daughter Ann Eliza DeWald and relocated to Licking County, Ohio in 1827. Shortly after the sale of the farm in Hampshire County, nine of the eleven children of James and Susannah Larimore migrated West, first to Licking County, Ohio, where five remained, and then four went on to Tazewell County, Illinois. James Jr. and Joseph remained in Virginia. 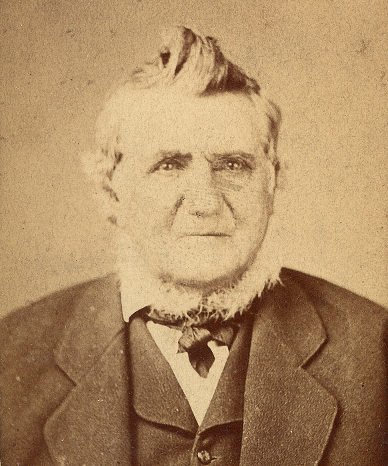 James "Yankee Jim" Larimore, 1800 - 1874, born Three Churches, Hampshire County, Virginia (now WV). Although illiterate, he was apparently quite a successful auctioneer, as well as a farmer and landowner in Licking County, Ohio. Caroline Larimore and Capt. 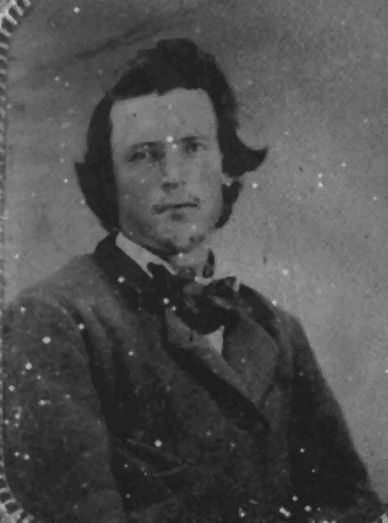 James W. Kirkendall, married 1866 at the home of her parents, James and Ann Eliza Larimore. Three of the four daughters of James and Ann Eliza Larimore -- top right is Caroline, top left is probably Sarah Ann and bottom is Louisa, having a dramatic moment with her wrist string. 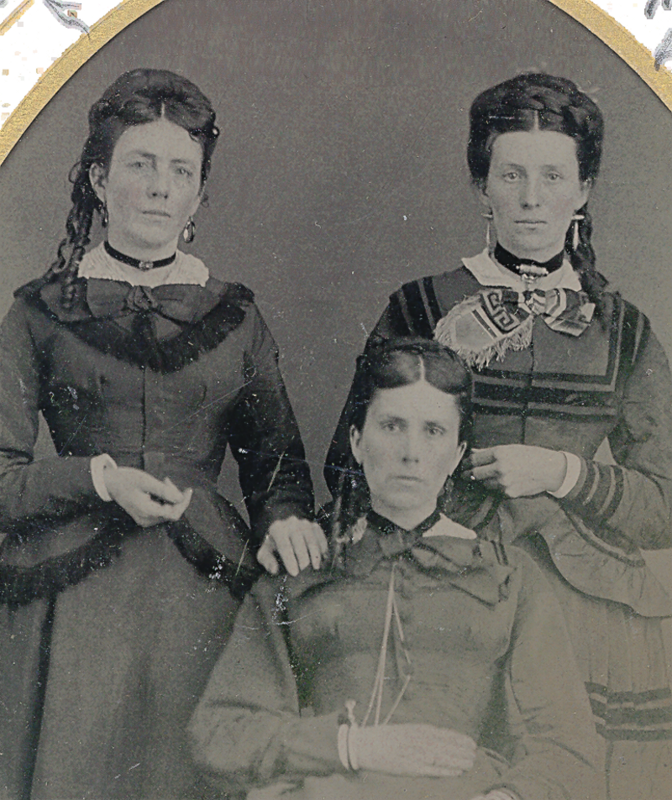 Their sister Scienda died in 1875 - I suspect this photo was taken sometime after that. My mother still has the earrings that Caroline was wearing in this photo. 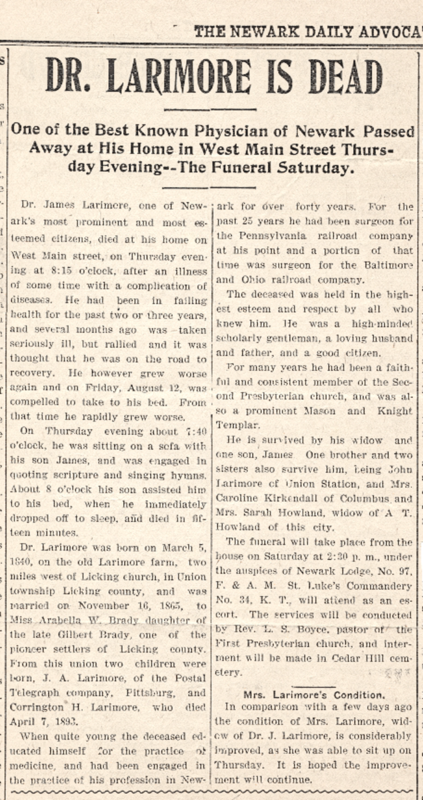 Obituary of Dr. James Larimore of Licking County, Ohio. 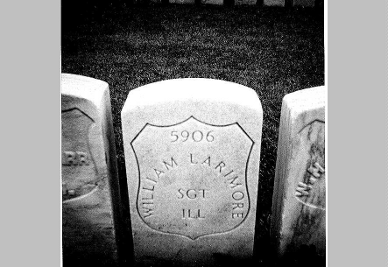 Green Upshur Larimore -- served in the 11th Illinois Cavalry, raised his second family in Indian Territory before it became Oklahoma. 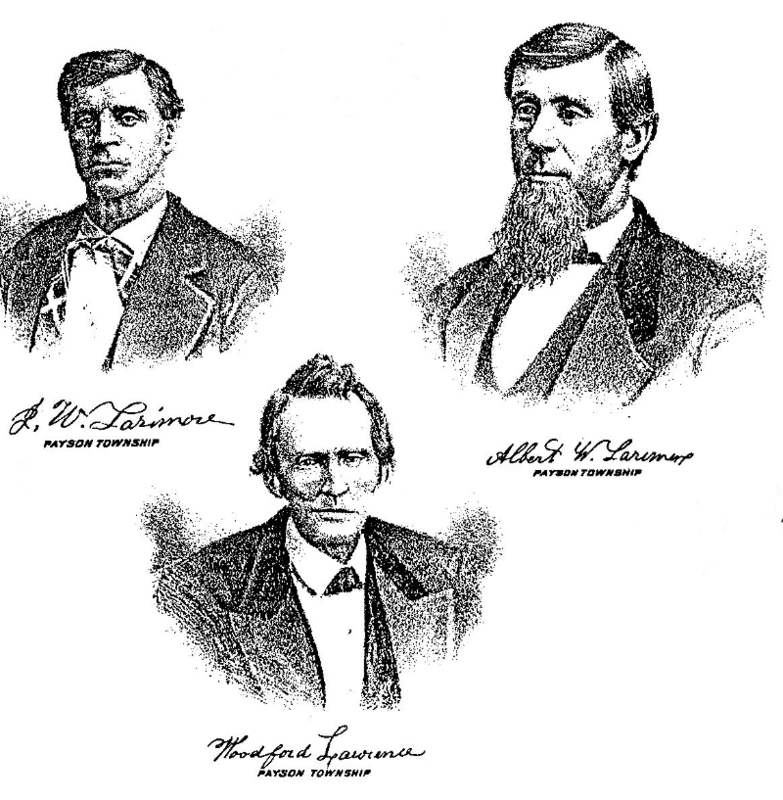 Emmanuel, Isaac "Ike", and Simeon Berry of Tazewell County, Illinois. 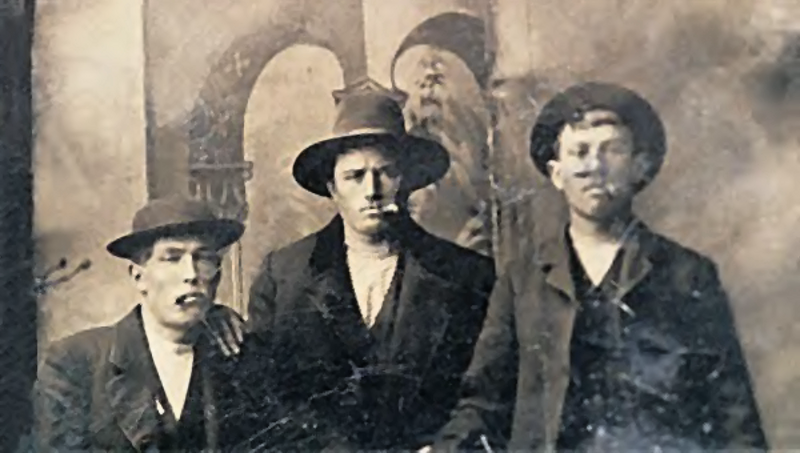 The Berry Gang was infamous for frontier violence in and around Tazewell County, and resulted their older brother Bill being lynched at the Pekin jail in 1869. Emmanuel died in the state penitentiary at Joliet in 1872. 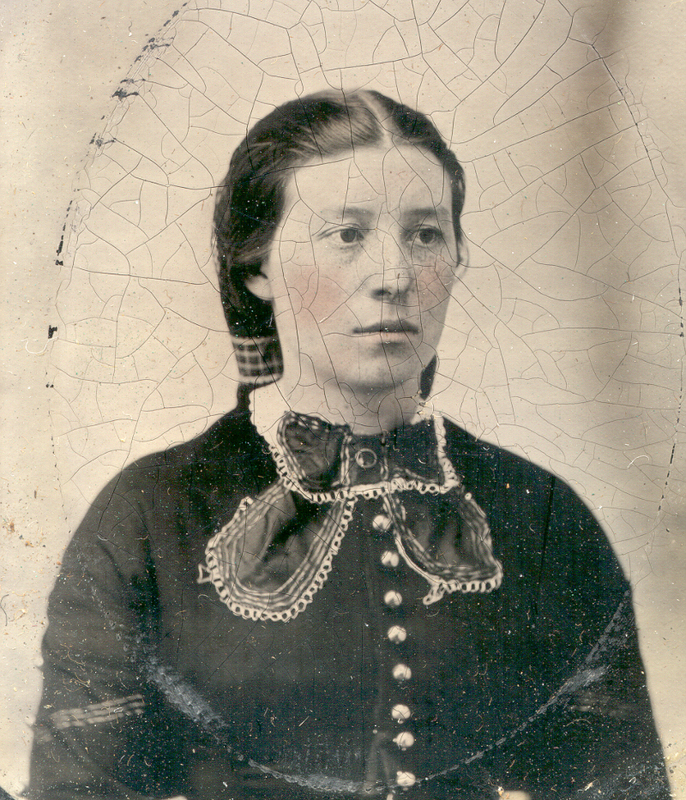 Their mother was Rachel Ann Larimore (1809 - 1879). 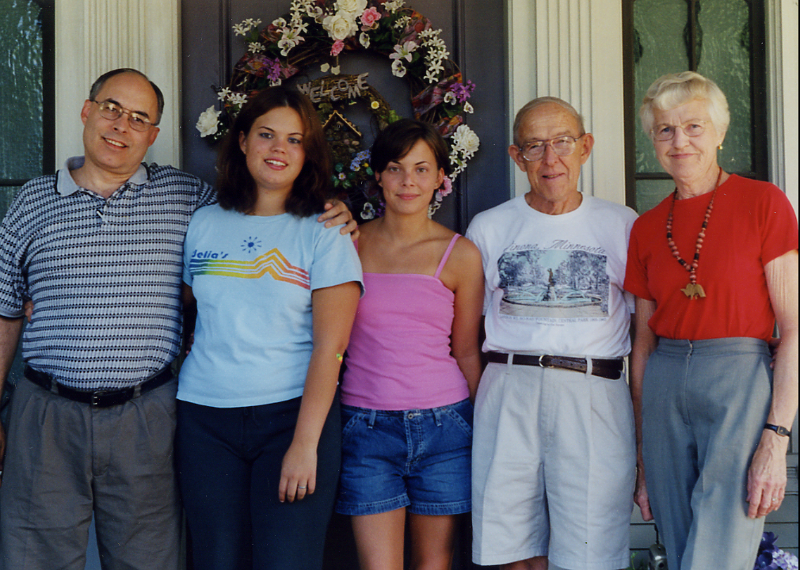 Some latter day Larimore descendants, at Winona, Minnesota about 2002. Don, Emily, and Lauren Boyd, Harland and Pauline (Larimore) Knight.